Back in August, Kachifo (an imprint of Farafina) announced its forthcoming titles. 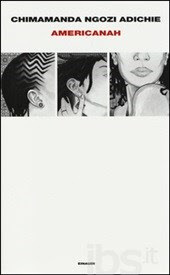 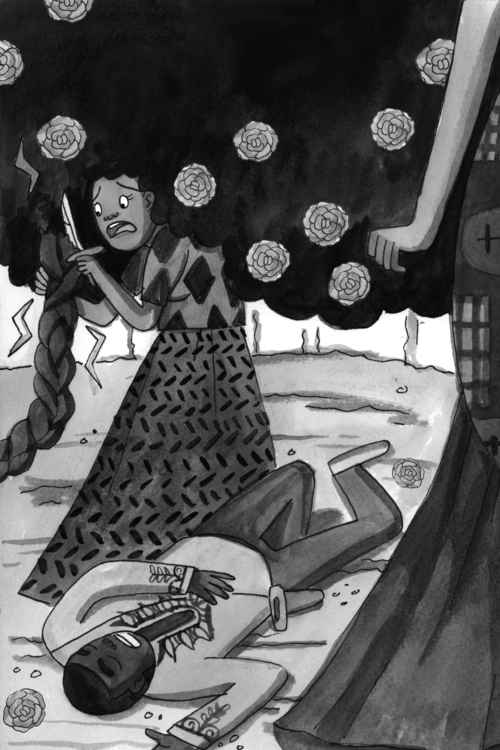 One of which is Afro: The Girl with the Magical Hair by Okechuckwu Ofili, about a special girl who chooses to have natural hair in a land where an evil Queen makes everyone wear straight weaves. Inspired by Afro, my next celebratory post looks at three natural hair-themed books. 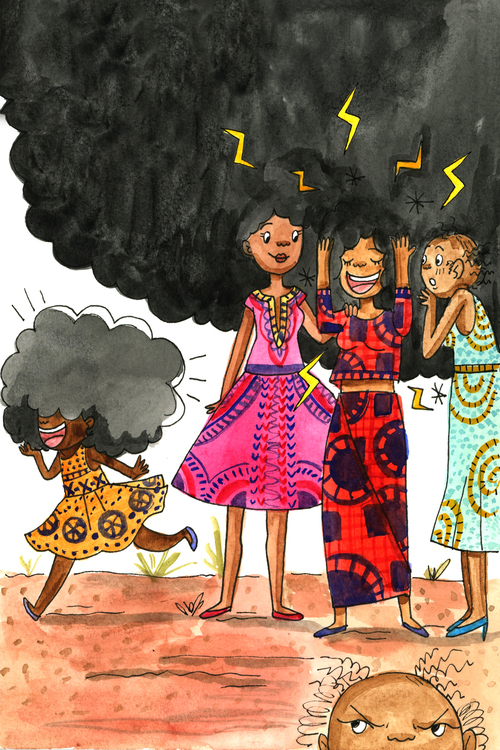 Afro is illustrated by Sharee Miller, who does amazingly 'fun and cute natural hair illustrations'. Here are a few of the illustrations Miller did for Afro. 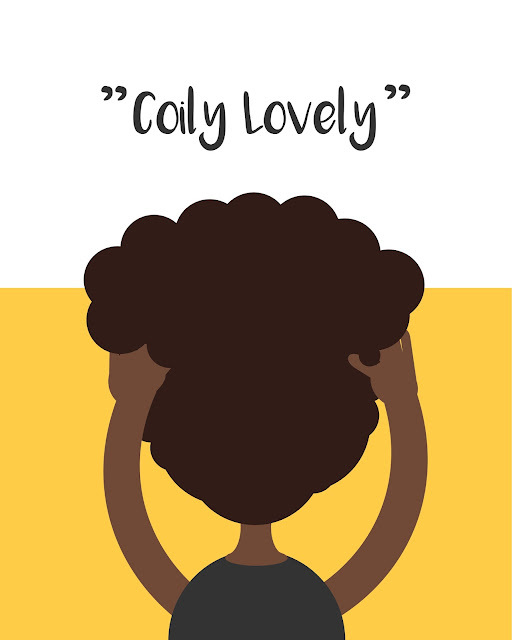 Gorgeous, much! 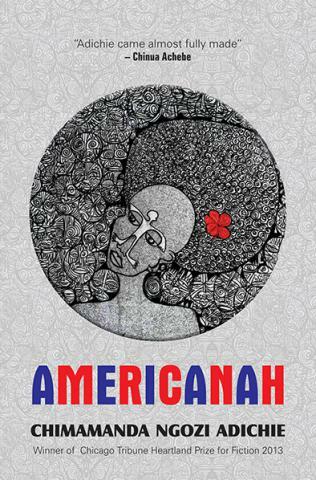 Afro was originally published on Okadabooks. 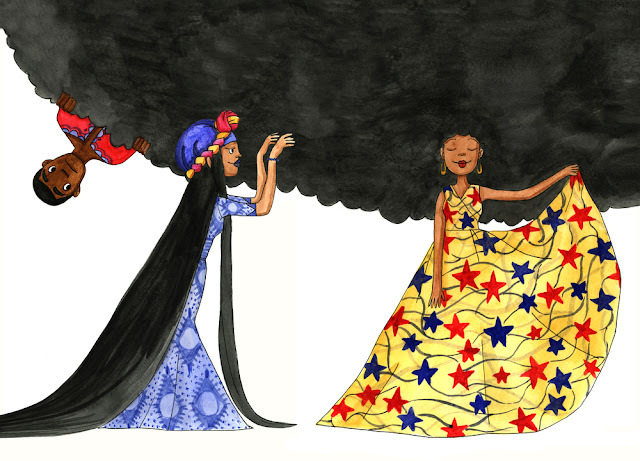 On his website, Ofili writes about this version of the 'fictional fairytale', which is a 'spin on the classic Rapunzel story with an ethnic bootylicious seasoning to it'. 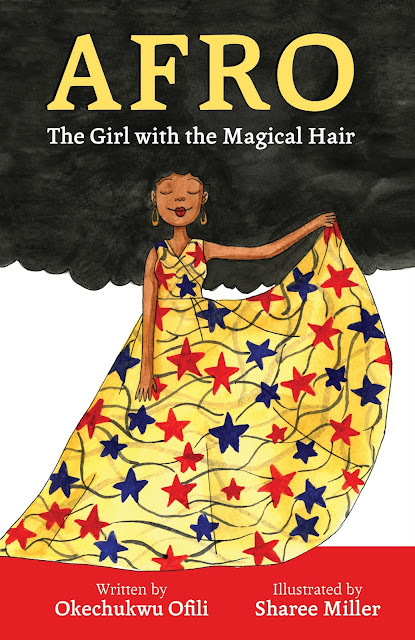 Afro is a story Ofili wrote mainly because of his 'love of natural hair'. 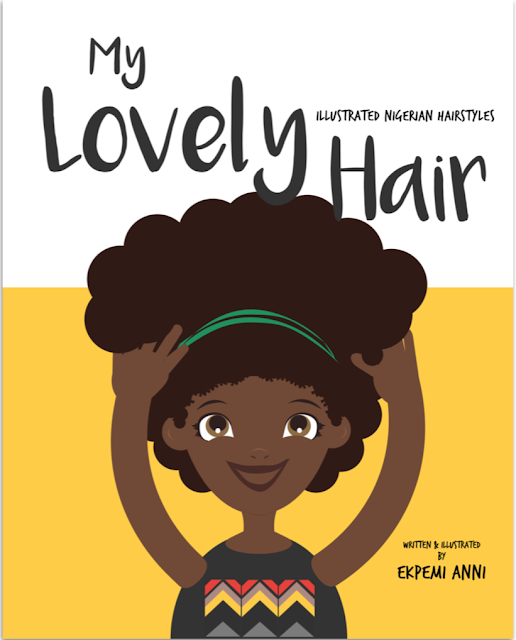 Another recent book dedicated to natural hair is My Lovely Hair by Ekpemi Anni, which celebrates Nigerian hairstyles. 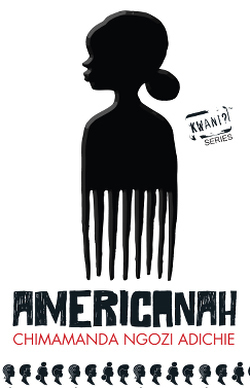 Finally, with the theme of hair being quite prominent, a lot of the covers of Chimamanda Ngozi Adichies Americanah feature an element of hair, and especially natural hair. The Nigerian edition of Americanah, designed by Victor Ehikhamenor, is probably one my favourite covers for the book. 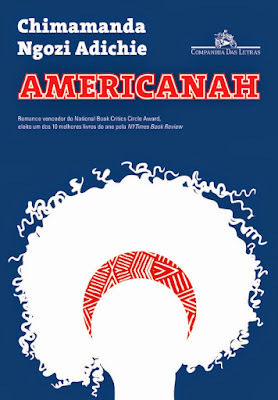 Check out Ehikhamenor's other book covers here. 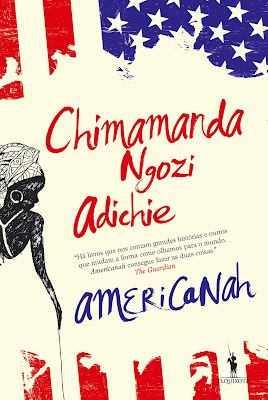 Although I have to say I also really like the Kenyan edition.